CHOOSING A YOGA teacher training course can be a daunting task. There’s no right or wrong style in yoga asana – there’s simply the style that suits you today. Most people prefer a high calorie-burning cardio workout thinking yoga alone is totally out of their comfort zone, because it doesn’t really make the heart pound. JUMPGA dispels those long-held beliefs. Unlike other forms of yoga, JUMPGA is a hybrid yoga asana practice encompassing two inter-changeable methods of exercise: for improved mental strength, physical strength balance, mobility, body image, and confidence. Many instructors become fitness professionals without ever studying how to teach. They come from various backgrounds and disciplines, such as yoga, sports or dance; and often learn to teach by being thrown into the situation, through trial and error, or simply by being passionate about what they do. They learn how to present what they do it in a way that allows them to come to the right conclusion by themselves. The JUMPGA 40hr Teacher Training course enables you to become a registered Yoga Alliance Professionals affiliate. 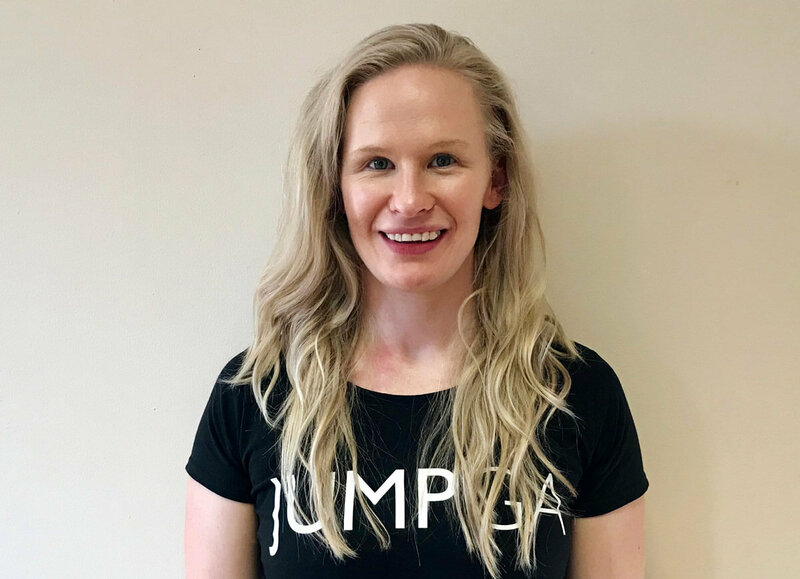 It is aimed at Yoga teachers, personal trainers, boxing coaches, Pilates instructors, movement therapist, physiotherapists, soft tissue therapists and JumpGa practitioners. You will not only learn a new form of fitness you will more likely retain what you have learned because it’s also fun. Unlike other forms of yoga, JUMPGA is a hybrid yoga asana practice encompassing two inter-changeable methods of exercise: for improved mental strength, physical strength balance, mobility, body image, and confidence.